Check under the cut for a look at the 5 throwback looks I've decided to share! Pride Mani! Textured Rainbow Gradient! 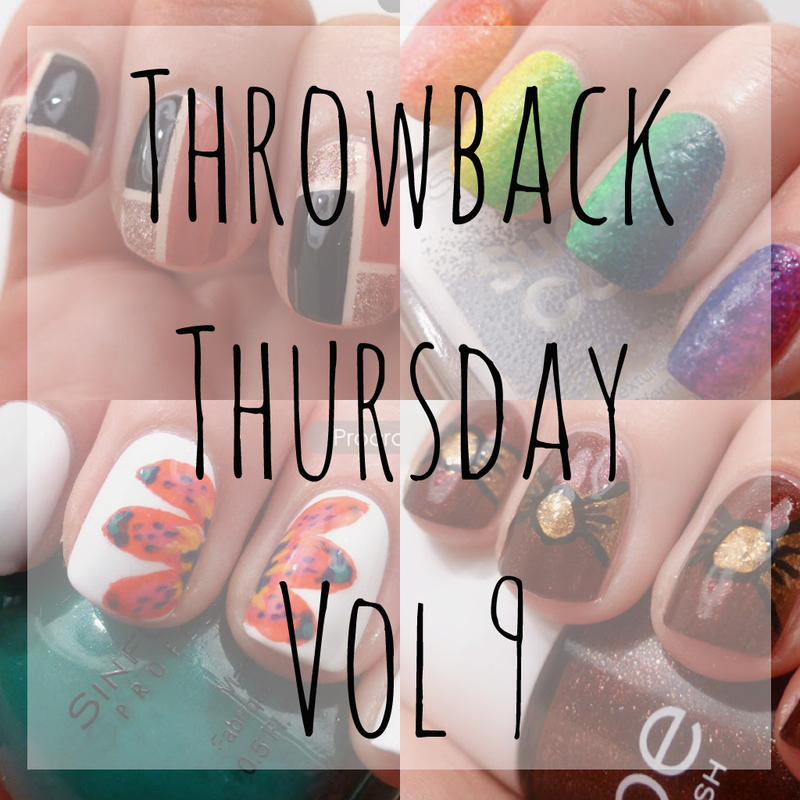 We start off this throwback with a look at my first attempt at a vertical gradient! I did this for Pride in 2013 and at the source you can also see the look with the addition of a white textured heart. I think doing it over a white textured polish made it a bit more interesting, and I really love how each of these nails turned out! Pride's always such a fun theme to work with. In my opinion you can never go wrong with a good colour blocking look. :) It's interesting to have blog posts from this long ago because I can definitely see the difference in my writing from then to now. In that post I spoke about a concept called "the pink and black dilemma" which is an idea related to femininity and seriousness in girls (you can check out more in the original post if you're at all interested). These days I feel my focus is more on the technical aspects of the art rather than outside concepts that might have impacted the art... I feel like I'd like to bring a bit more of that old style back into my writing, if only to make it a bit more unique! 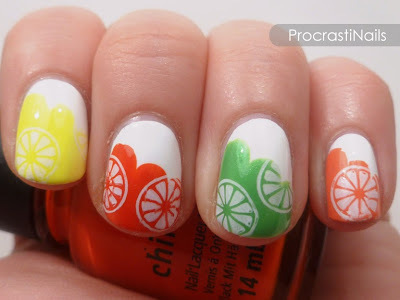 Step Into Summer: Citrus Fruit! This was... an attempt at stamping. Haha. It's not horrible, but I feel like it's missing something. An outline around the bumps? A second shade of each colour incorporated into the base? Some glitter? I don't know what it is, but something is missing. Either way it filled the prompt for 'citrus fruit' so it's all good. 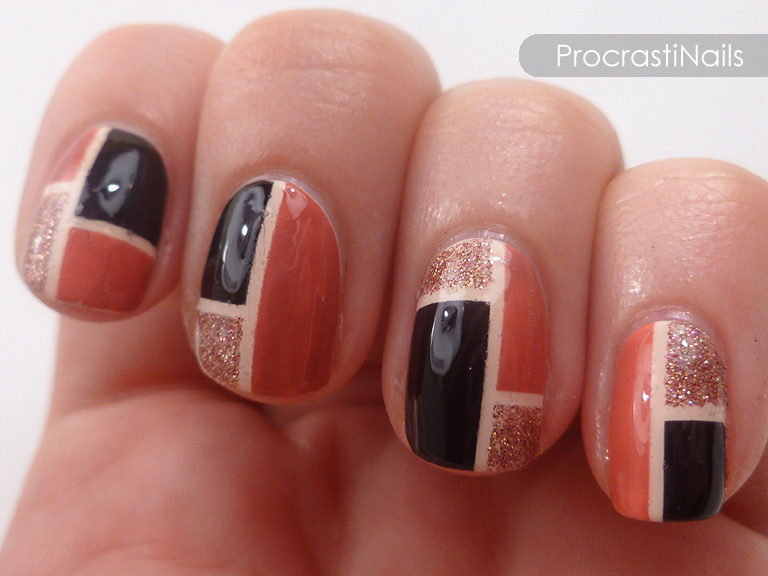 Until I looked at this post (and the related swatch post) I had forgotten how awesome Joe Fresh polishes are! At 3 for $10 you can't beat the price, and they have some really unique options available. 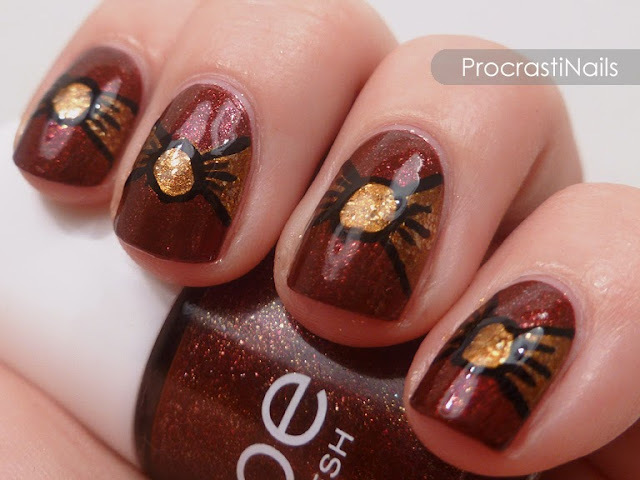 Both of the polishes featured in this mani (the red and the gold) are Joe Fresh, and this was my very first time freehanding bows! They could be a bit more uniform but overall I think this is a cute look. This last look is one of my favourites of all time, and it's actually a recreation of a bikini top I own. The flower is just so bright and vibrant on the white! This was a bit tricky to do since at the time I don't think I had very good brushes (I'm pretty sure a lot of this was done with a dotting tool or toothpick). So considering that, I think I did a DAMN good job! Haha. Let me know which look is your favourite! I enjoy your designs so much! These are all really awesome! I love the textured Pride nails. I always love textured nails and I think I always will. 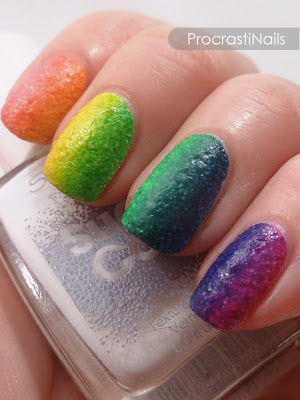 Oh my gosh your textured pride nails are so love! 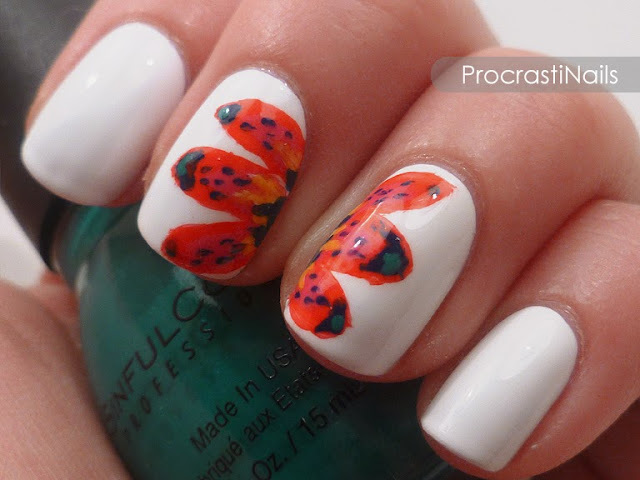 So creative and pretty. The color block came out so crisp and pretty! I love the colour block! The Color Block design looks so cool..all are lovely manis.